On Christmas Day, Brasserie will hit the spot after a morning opening presents. 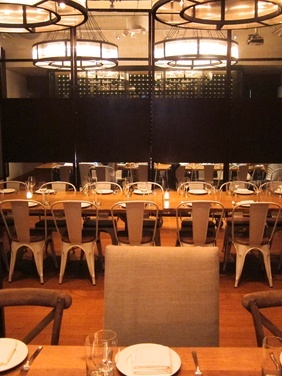 Brasserie offers French cuisine in a sleek, modern setting. A roster of classic and contemporary French comfort food awaits, and you'll dine in a large dining room with comfortable banquettes and a long bar serving up French brunch cocktails and specialities. 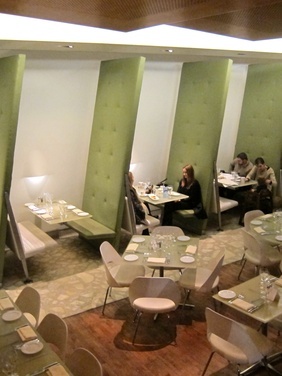 Brasserie has been time tested-- it opened in the Seagram building in 1959. The Christmas Brunch Prix Fixe of course! For just $26 you'll receive three courses, and freshly baked Holiday Cookies. Choose among French Specialities such as Crepe aux Champignons, Duck Rilletes, Onion Soup, and Steak Frites, or fluffy Farmers Omelets and Eggs Benedict. All are made with fresh, local farm eggs. On weekends, Brasserie offers one of the best brunch deals around town-- two courses and a cocktail for just $19. Up late delivering gifts? You can expect the classics like fine lattes and cappuccinos to wake you up. However we'll probably opt for a French 75 and Kir Royale to get the celebration started.